A perennial favorite fall color of mine is burgundy. There's something about it that just feels so luxurious and sophisticated and right for the season. Are you a fan of burgundy? What colors do you like to pair it with? I personally think it looks amazing with grey and lavender. Burgundy is perhaps one of my favorite colors, especially for fall. That polish, lipstick and blush look gorgeous. I hope stores start to bring the color back! What a great colour for fall. Loving all your selections! I literally 'ooh'ed out loud when I opened this post, it's a beautiful selection and such a lovely, rich colour! The sweater and the flats with the metallic toe are my faves! Really like the burgundy, totally fall color! Love the sweeter! Love this so so much! The only tear sheet that I pulled out of a magazine this fall was a girl wearing head to toe burgundy--it is just so perfect for fall! Have you been stocking up on this pretty color? I want to find a few pieces to add in. This is such a gorgeous colour and all those lovely beautiful items together makes iti simply irresistable. I especially love the toe capped flats. Swoon for those burgundy trousers! I saw a pair at Gap and totally felt like I was in a fall state of mind! Burgundy is made for autumn. The boots and hat are so beautiful! I've always been a fan of burgundy. They come up with different names for it, but at the end of the day it's always referred to burgundy. Love the nail polish ;) and lipstick. Love those Sam Edelman boots. I've been buying quite a few burgundy pieces as of late as well! 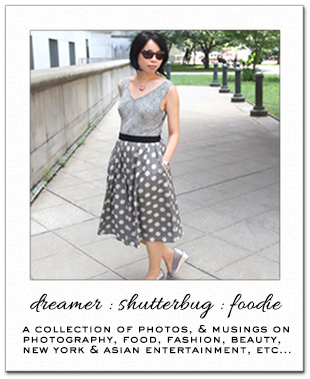 I LOVE those flats--hopefullly I'll be able to find those Old Navy flats in store! Burgundy is just sooo luxe. The color is the epitome of Fall. :) That watch is super cute! Oh yes! Burgundy...one of my favorite colors for Fall! I can't wait to get more of this color into my wardrobe...like that watch, those gold pointed flats, and that hat!! love it! This is my obsession right now! 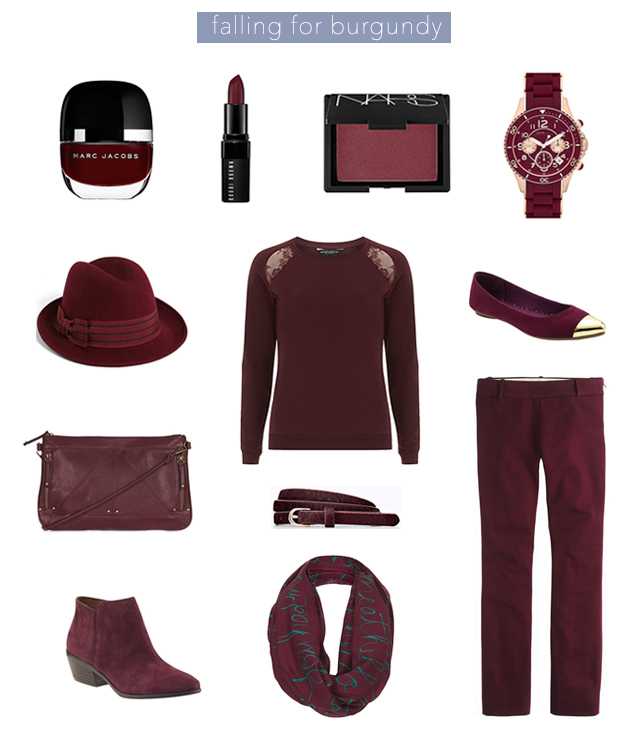 I love burgundy and all of these items are perfect. Ah you read my mind! I got a mani this weekend and did a burgundy but it was a brighter burgundy I would like to try on similar to this MJ color. Love it!! uhhh, its jus the perfect colour. One of my most favorite colors this fall! a must-have color for autumn! I'm not particularly fond of this colour, but your picks are definitely beautiful! Burgundy is a color I like to wear in the fall too...now only if I can pull off the burgundy lipstick! Can you believe I don't have anything burgundy!? I would love to try that polish though, looks so perfect for Fall! So funny because just tonight my daughter asked me for a pair of burgundy tights.